David Taylor and Andrew Medina were pulled from the reassignment list. 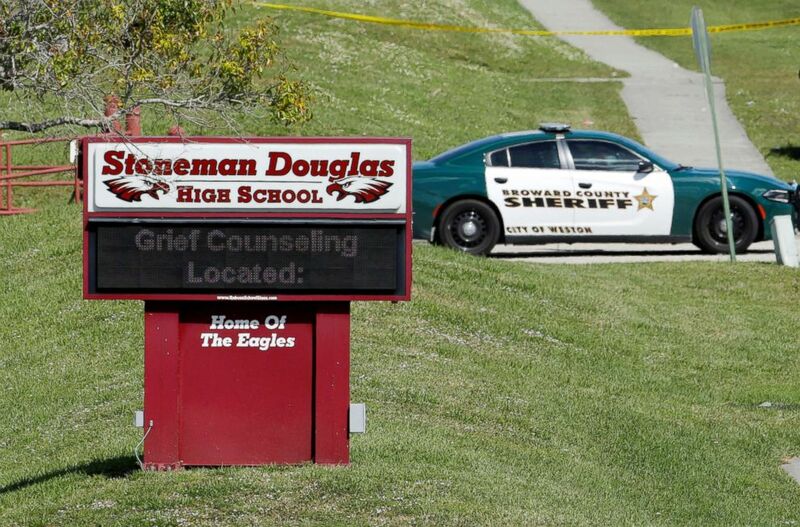 Two Marjory Stoneman Douglas High School campus monitors were let go today from their positions in the wake of the Feb. 14 mass shooting that left 17 students and school staff members dead. The monitors, David Taylor and Andrew Medina, were both withdrawn from the Broward County school board's reassignment list, according to a Tuesday letter from Superintendent Robert Runcie to the school board. Both men were also assistant baseball coaches. The pair contended through a spokesperson this afternoon that they did not do "anything wrong" and characterized the dismissals as motivated by public pressure. Taylor and Medina had previously been reassigned after the shooting to administrative, non-school assignments, according to the district. (Jonathan Drake/Reuters) A message about grief counseling appears on the electronic signboard at Marjory Stoneman Douglas High School one day after a shooting at the school left 17 dead in Parkland, Fla. Feb. 15, 2018. The day of the massacre, Medina, who was not armed, was the first to see suspected gunman Nikolas Cruz on school grounds, according to the Orlando Sentinel. Medina allegedly told investigators he didn’t confront Cruz or initiate a lockdown, but radioed to Taylor warning him about a suspicious person, the Sentinel said. Taylor then hid, according to the Sentinel. "What the school board did is reprehensible because they cow-towed to the pressure of the public when neither one of these individuals did anything wrong," Medina and Taylor's representative, Russell Williams, told ABC News Tuesday afternoon. Williams stressed that Medina and Taylor "did do what they are trained to do" the day of the shooting. "Medina had ended the year review and he got excellent marks across the board," Williams said, "as did Taylor." Medina and Taylor did not learn they were fired on Tuesday until after the decision was made, according to Williams. "Everybody feels better that somebody is now being held accountable -- the only people they are going to hold accountable is the low hanging fruit," he said.